The education department at FOR is always looking for ways to expand our reach. Most recently we have had our eyes on reaching more students upstream, specifically in Fauquier, Culpeper and Rappahannock Counties. The PATH Foundation supported this effort with funding to kick start the expansion. FOR has great partners working in this region already, so it makes the most sense to support those partners and help them expand their reach too! With groups like John Marshall and Culpeper Soil and Water Conservation Districts and RappFlow we have been able to increase our visibility and work with more students. This Fall FOR sent our educators to a field experience organized by RappFLOW in Rappahannock County. RappFLOW is a non-profit focused on protecting water resources in Rappahannock County. They are a completely volunteer-led organization, which speaks to their passion for their work. 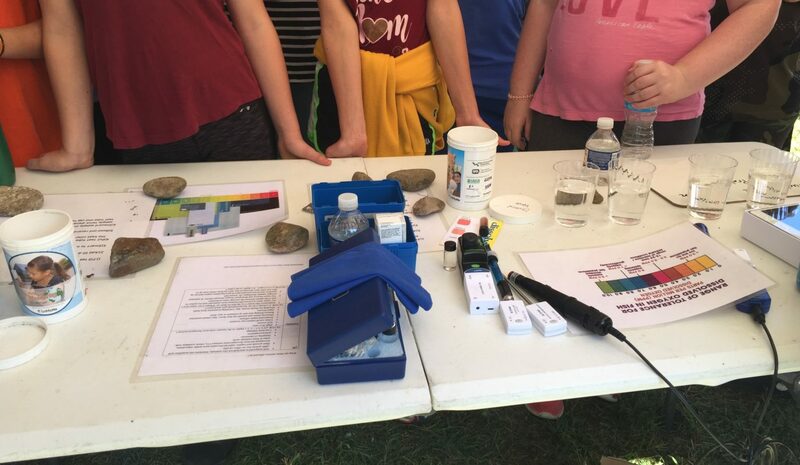 About 125 students from Rappahannock Public Schools, Wakefield Country Day School, Hearthstone and Belle Meade rotated through several learning stations about water quality. FOR led and supported stations about water chemistry, watersheds and macroinvertebrates. This is a great example of how FOR can support our partners and expand our reach! We are now reaching over 200 students in this area and hope to triple that number over the next year. We look forward to many more great programs like this in our headwater counties.